I found out about this mall through a site online. 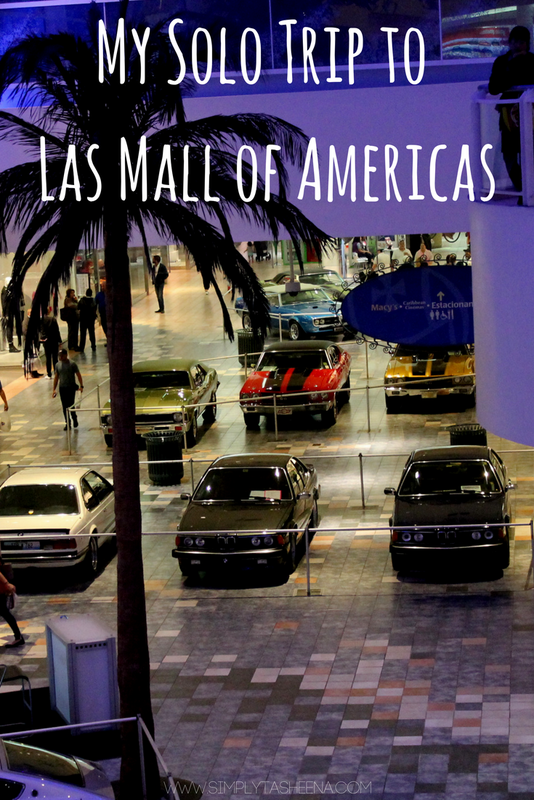 On my first day in San Juan I was going to take an Uber to this mall. I was so exhausted that I ended up falling asleep. my trip to the Bacardi Distillery . I decided to head to this mall. When I first got on the bus while in route to Old San Juan. The older couple asked how to get to the Plaza Las Mall of Americas. The driver spoke English and explained to them that they would have to take a couple of buses to get there. I was determined to not go back to my hotel. It was around 5:00 pm and it was still light out outside. I walked to the bus stop and tried to wave down and bus driver. The bus that I went to the driver spoke very little English. It pointed me to the direction of the bus. Unfortunately, for me, that bus was pulling off. I tried my best to run after the bus but it was too late. This so brought me back to my teenage days of taking the bus solo to the mall. While I was waiting, one of the bus employees walked up to me and asked if he could help. I explained to him that I was taking the bus to the mall and wanted to confirm that I was in the right bus stop for the bus. He explained to me that I was in the right spot and the bus should be coming soon. I waited about 10 to 15 minutes and I was actually headed to the train station and not straight to the mall. I reached the train station the driver pointed me in the right direction. As I was waiting on the bus to the mall I decided to go to the service desk and I was told that two buses go to the mall. One of the bus stops was where I was standing at. The other bus stop was within running distance to me. Right in front of the build. The desk agent wasn’t sure when ether bus would be arriving. I noticed that the bus he mentioned was driving pass me. I wasn’t sure if it stopped already or if it would be stopping at a stop. (at that time I didn’t know when the bus would be coming and if it stopped at the stop already.) I noticed that the bus was taking a right and ran for it. I made it on the bus and sat right behind the driver. While in route, I enjoyed the scenery and decided to Googled the name of the to try and get a visual image of what the mall looked like on the outside. I noticed that we stopped at a location that looked like it could be a mall. From the outside, all I could see is the parking the garage. people were getting off the bus. Something said asked the driver about the mall location. Once I asked the driver stated "this is the stop." Yup, I got off the bus. I proceed to walk down the path in which brought me to the mall entrance. so I stopped there to purchase something to get a bag. You see, I still had the Bacardi cup in my hand and some other stuff. Upon entering the store I was greeted. I was looking for blanket scares because my local store had them for $5. To my surprise, they didn’t have any in stock. I picked out some black leggings because those always come in handy. I purchased the leggings and headed to explore the mall. I noticed someone with a Starbucks cup and at this point, I still didn’t have anything to eat. I went to Starbucks and was able to use one of my rewards to purchase my beverage. Outside of Starbucks, I noticed that a young man was charging his computer. I noticed an available plug so I plugged my phone up to charge. At this point, my phone was about to die. It was around 6 pm and I wanted to wait until my phone was 50% charged. I noticed that it was getting late and my phone was almost 50% charged. Seven o’clock came and this was the time I planned on leaving the mall and taking the bus back to my hotel. I wanted to get my son something from the mall before I left though. section and I found these super cute sneakers that I knew my son would love. I headed to the checkout line. However, noticed that the size I had for him might be too small. I didn’t want to leave the line so I wanted until it was my turn to exchange shoes. At this point, it was time for me to run to the bus stop. Of course, I waited until the last minute. Not only did I have to take a bus I had to take three buses. Of course, I have no sense of direction and got lost trying to find my way out of the mall. and had to sample it prior to my food coming. Wait, what food? I still didn’t order yet. I was so shocked to find out that they really don’t cater to people who do eat meat. I ordered a shrimp basket and at that point, my stomach was not feeling it’s best. I devoured my food and while I was waiting I had my phone charging. I ordered an Uber and was my way back to my hotel. Hi, looks like you had a real adventure trying to get to the mall! In the end it looks like you had a great time and took some great pictures. Wow, what an ordeal you went through to get to the mall and back! At least you got to see really neat things, like that silverware hanging from the ceiling. OMG! I used to work on the customer service counter on the first floor. Starbucks it's new by the way. It wasn't there last year but people request it ssssooo much and wow... There it is! I miss Puerto Rico. I commend you for traveling alone; that in itself is an experience. But it seems that you navigated through the city very well and found a nice place to relax. The pictures provided a great visual! I always feel accomplished when I get from one place to another in an unfamiliar city. I'm directionally challenged, so it always feels like a huge deal! I love visiting shopping malls all alone at times as it gives a wonderful experience to explore everything by taking time you need. The mall looks amazing and your photos look great as well.